Auckland has more than 4000 parks, 27 of which are regional parks – some of our most picturesque and diverse natural environments. From tramping, camping and kayaking to caving, mountain biking, swimming and fishing, there are a whole heap of activities to enjoy both on land and in water. Helping us to make the most out of these unique and treasured spaces are our hard-working park rangers. 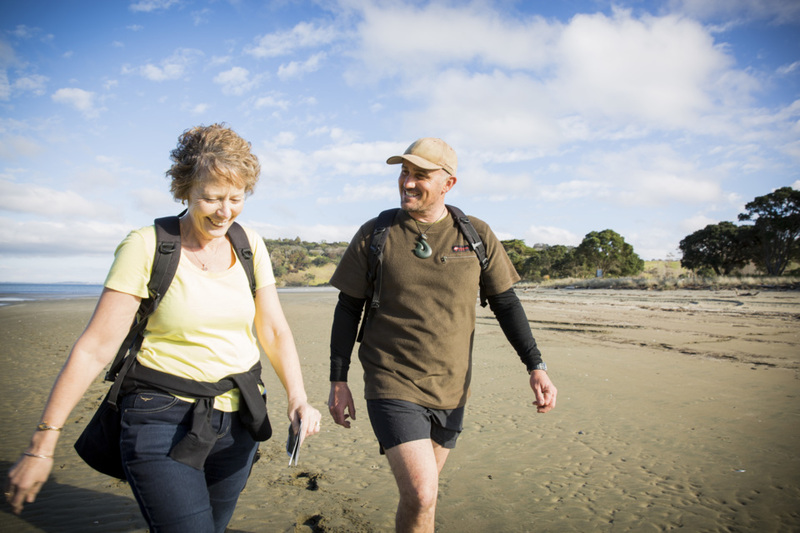 As part of their role, park rangers are an important link between emergency services and support with emergency responses in and adjacent to regional parks across Auckland. This may include search and rescue operations, other critical emergency events, wildlife rescues and public safety programmes such as the West Coast Rock Fishing Safety project. Rangers help to coordinate emergency efforts to minimise risk to park visitors and provide emergency response services, including the NZ Rural Fire Service, NZ Fire Service, NZ Police, Life Saving Service and Westpac Rescue Helicopter, with local knowledge, access and logistical support and first responder activities. Since 2015, Auckland park rangers have been involved in 44 recorded search and rescue operations. Almost half of these took place in west Auckland. “Rangers work on a roster and are on call to support emergency responses at any moment," Mark says. "A number of our rangers are also volunteer members of emergency response services providing further support to the communities in which they live." There are a few simple rules you need to ‘know before you go’ to help keep you safe while out enjoying all that our regional parks have to offer. Be aware of the weather – New Zealand’s weather can be highly unpredictable so check the forecast and expect weather changes. Take sufficient supplies – make sure you have enough food, equipment, clothing and an appropriate means of communication. Be prepared – learn how to swim and survive, always use safe and correct equipment, and know the weather and water conditions before you get in. Watch out for yourself and others – pay close attention to children, swim with others and where lifeguards are present. Be aware of the dangers – make sure you keep an eye out for rising water levels. If you find yourself in a tricky situation in one of our regional parks, call 111 or the ranger on duty (you can find their contact number on the noticeboard at the entrance to the park). Visit Adventure Smart for more information.